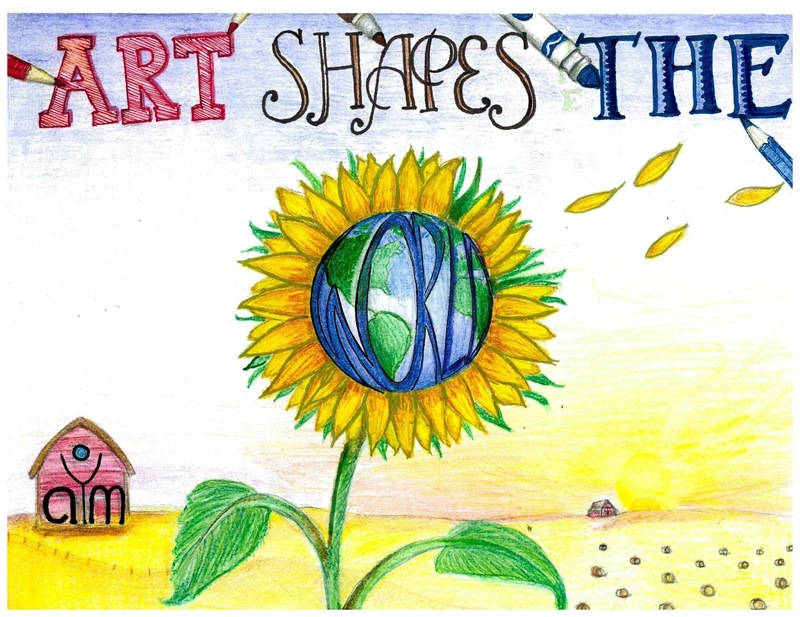 Thank you so much for participating in this year's Youth Art Month Flag Design Contest We received an AMAZING total of 482 entries for this year's contest! The panel of judges was extremely impressed with the quality of the flag designs this year in all categories. 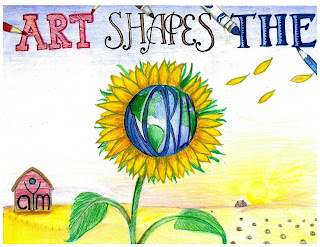 Below are the results of the 2019 Youth ArtMonth Flag Design Contest! 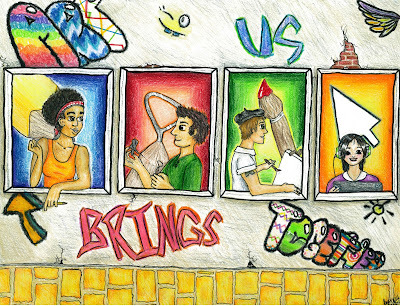 Congratulations to all the winning students and their art teachers! 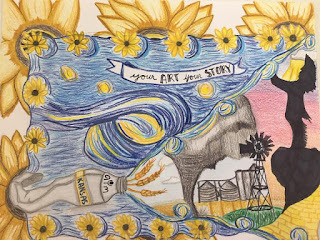 Please encourage your students and their families to attend the Youth Art Day reception and awards ceremony in Topeka at the end of February/beginning of March . All YAM Flag Design winners will be honored. Entries will be included in a digital display during Youth Art Day. 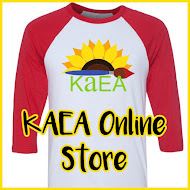 Details for this event will be posted soon on the KAEA website. 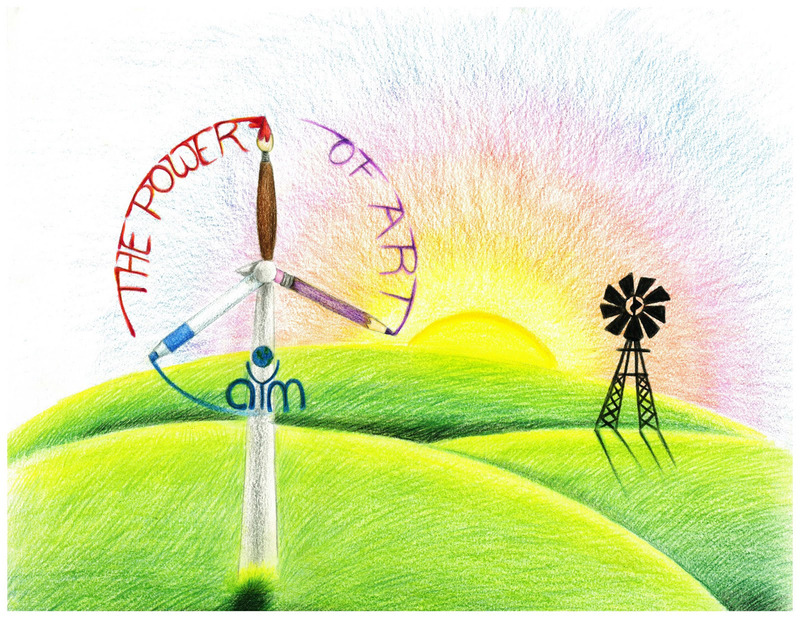 Thanks again for supporting Kansas Youth ArtMonth! 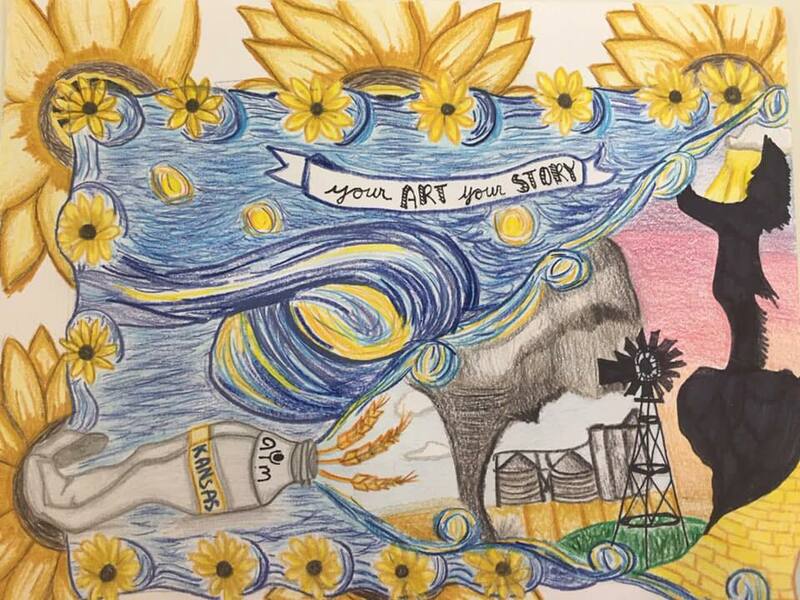 2019 Youth Art Month Winning Flag Design—Lauryn Becker, 11th Grader at Cheney High School, student of Mrs. Shawny Montgomery!! Entries can be submitted digitally (jpeg or vector) or created traditionally on 8"X11" paper. All entries must be postmarked by November 17th. 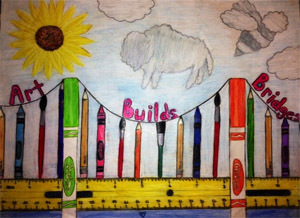 Students are to create a flag that combines Kansas and visual art themes. Prizes will be awarded in three grade categories: K-5, 6-8, and 9-12. 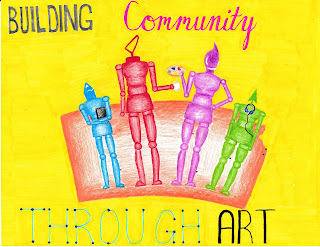 Entries will be part of a digital exhibit at the Kansas Youth Art Month celebration. The grand prize winning design will be made into a flag and will be flown at the NAEA Convention! We look forward to seeing your students' flag creations! Johnna Smith – YAM Flag Chair, jsmith@usd402.com. Josie Harris, Haven High School, student of Kylee Baldetti!! Cameron McFadden, Andover Central Middle School. 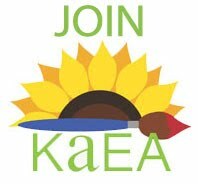 KAEA is dedicated to the advancement of the human and cultural understanding through the study of art by providing opportunities for professional growth and development, exchange of knowledge and ideas, and service and leadership for the advancement of quality art education. The Kansas Art Education Association is the largest organization of Art Educators in the state of Kansas.